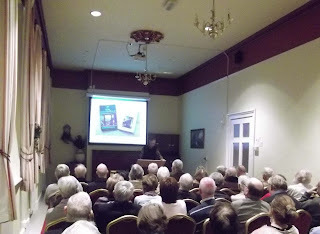 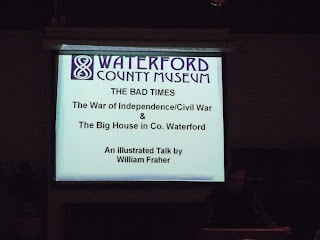 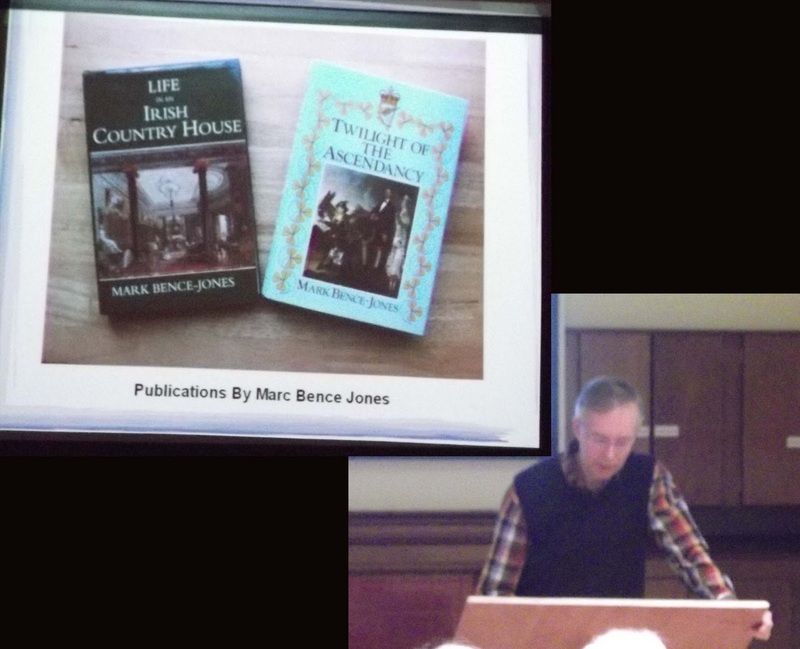 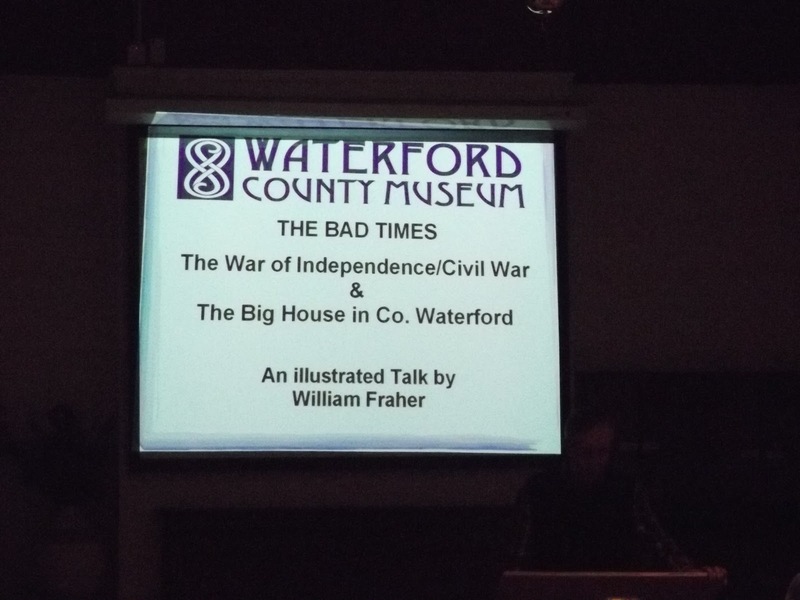 The lecture on Friday night was very successful and drew a large audience, as Mr William Fraher gave a talk on the impact of the Civil War on the Big Houses of County Waterford. 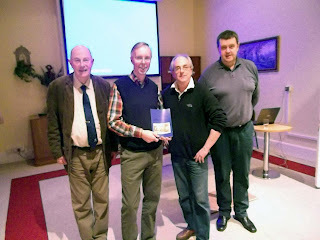 Hon Editor, Donnchadh Ó Ceallacháin presented Mr Fraher with a copy of the latest edition of Decies. 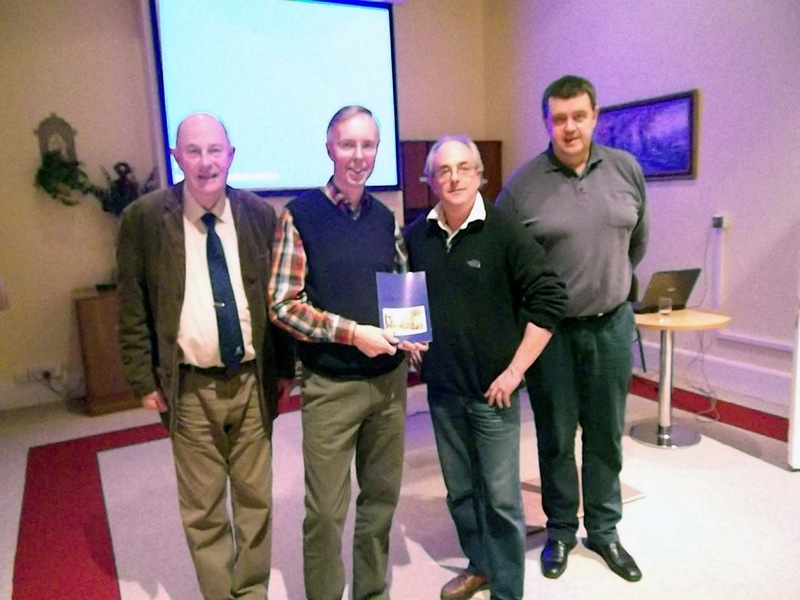 Included in the picture, l-to-r: Mr Julian Walton, Mr William Fraher, Mr Donnchadh Ó Ceallacháin, Mr Michael Maher.